An investment firm owned and run by one of Democratic presidential frontrunner Hillary Clinton’s many billionaire political supporters is under federal investigation after news reports revealed patterns of discrimination against minority customers and employees. Just weeks after Berkshire Hathaway owner Warren Buffett, the world’s third richest man, joined Clinton at a campaign event in his hometown of Omaha, investigations by the Seattle Times, BuzzFeed, and the Center for Public Integrity have caught the eye of officials at the Consumer Financial Protection Bureau. The news reports accused the lending arm of Berkshire Hathaway-owned mobile home business Clayton Homes of routine discrimination against minority borrowers, who, the reports alleged, were often duped into predatory loans. The CFPB, which investigates and prosecutes financial crimes, has opened an investigation based on those news reports, according to American Banker. "The allegations of discrimination and predatory practices raised by the reporting are obviously very concerning to the Bureau," Sam Gilford, a spokesman for the CFPB, said in a statement Tuesday to American Banker. Observers said they are not surprised that such claims are triggering enhanced scrutiny by the CFPB and other regulators. "The raw statistics provided in the latest article in and of itself does not prove anything, but it certainly raises a red flag that the CFPB thinks is significant enough to have an interest in, or at least to do some homework on it," said Michael Mierzewski, a partner at Arnold & Porter LLP. 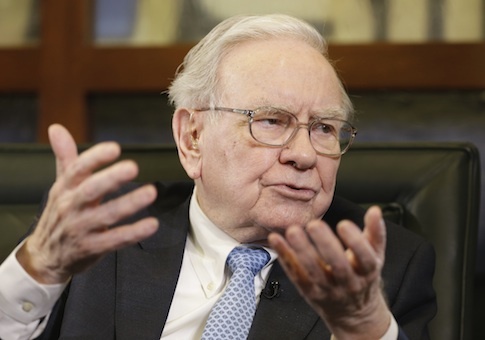 Both Clayton and Buffett have denied the allegations raised in the articles, which first surfaced earlier in April. In addition to allegations of racial discrimination, BuzzFeed and the Seattle Times reported last month that Clayton employees have been accused of harassing minority colleagues. One sales employee in Louisiana allegedly "call[ed] the sales lot ‘n—–ville’ when black customers arrived to tour homes" and told a colleague, "I can’t help myself, I hate n—–s."